Welcome to the IndyPAAW Mutt Strut page! IndyPAAW is a young professionals affinity group supporting the Humane Society of Indianapolis. We're in our 6th year and have raised tens of thousands of dollars for homeless animals in our community. But you don't have to be a YP to walk with our team at Mutt Strut! The more the merrier. Will YOU Join the Fun?! 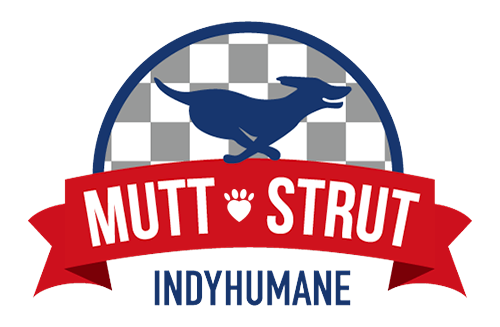 Join us on Saturday, April 27th for Mutt Strut, a pet walk (with or without a pet) benefiting the Humane Socitey of Indianapolis held at the legendary Indianapolis Motor Speedway. There are several ways to participate: You can join me for The Greatest Spectacle in Dog Walking by donating on my behalf or registering to walk with me. Every donation helps IndyHumane find homes for thousands of homeless animals each year. Serving Indianapolis and the surrounding counties since 1905, IndyHumane provides vital services to animals and people alike through our programs including our low-cost vaccine clinic, canine training program, dog park, Re-Tail Store, and of course, sheltering and adopting animals. A private, nonprofit organization that receives no public or private government funding, IndyHumane is supported solely by contributions, grants, bequests, investments, adoption fees and other fees for service. Visit www.indyhumane.org for more information. Penn & Beech Candle Co.